We know you spoil your Mom every year on Mother’s Day but, this year, give her a gift unlike any one you have ever given before – jewelry! We know what you’re thinking… you’ve given your Mom jewelry before, right? Our accessories are different because they do more than just add sparkle to any outfit, they also give back to a very important cause. If you purchase a gift for Mom off of our online store, you will also receive something special! To say thank you for supporting our mission, we will send YOU a matching accessory completely free of charge! All you have to do to redeem this limited-edition offer is to enter code LOVEMOM at checkout. Start shopping today! Mother’s Day is a little over a week away! We have been feeling some serious spring/summer vibes from all of our followers who have snapped their SV Selfies so far! One of our favorite parts of what we do is seeing how YOU style our jewelry! We are constantly searching for the latest trends and fashion inspiration, but nothing makes us happier to see how our one-of-a-kind jewelry compliments your unique style. Check out these glowing women in their SV Selfies! Do you own a special accessory from us? Don’t forget to take your own SV Selfie! Not only do we want to see how you wear our jewelry, but we want to give you a 10% off discount code for each SV Selfie you post so that you can keep adding to your collection! The more you post, the more you save! To see more selfie style-inspiration from our followers, find us on Facebook, Instagram, and Twitter. If you would like to post your own (and receive the instant discount code), it’s easy! Just upload your selfie on one of those platforms and tag us (@saintvintage or #SaintVintage) to start saving! But don’t wait – this special promotion won’t be around forever. COMING UP: In addition to our SV Selfie, we will soon be giving away discount codes for a special promotion we are calling our “Mom & Me SV Selfie.” If you purchase an everlasting accessory from our online store to give to your Mom this Mother’s Day, we want to see it! After you gift it to her, snap a selfie with both of you AND the jewelry – and don’t forget to tag us of course! You will receive an additional 10% off of your next purchase. Have a fabulous weekend, followers! It’s never too early to start thinking about how you’re going to spoil your mom on Mother’s Day! Lucky for you, our Mother’s Day Promotion begins next week (on Monday, April 20th) and will run up until Mother’s Day (on May 10th)! We are offering 25% off of ALL jewelry in our special, philanthropic jewelry collections. Check our Facebook on Monday to get the discount code! What’s your mom’s favorite accessory? 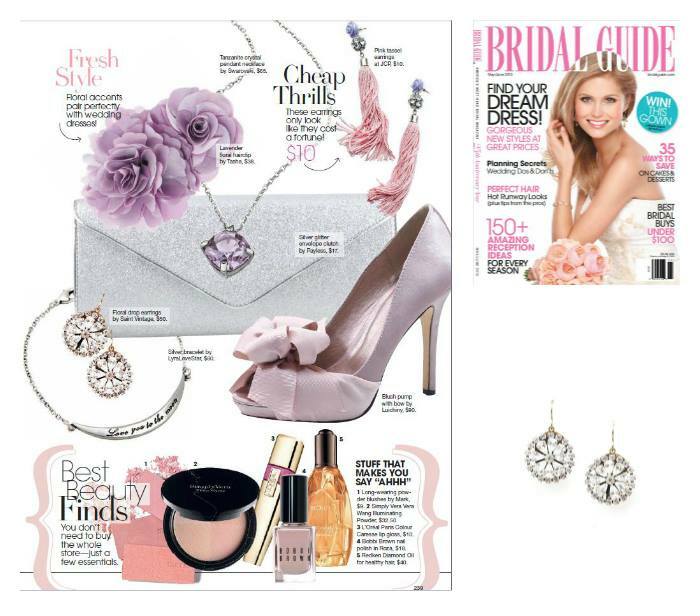 If she loves earrings, then the perfect accessory for her is waiting in our Love Drops Collection! Full of sparkle, the uniqueness of our handcrafted earrings is obvious in the intricate detail of each piece. Is your mom a lover of Swarovski crystal sparkle? Our Saint Vintage Couture Collection is filled with glamorous pieces, from one-of-a-kind tassel necklaces to little-black-dress-approved cocktail rings! What about luxurious necklaces? Our Love Strand Collection are popular because they stand out from other necklaces. Each Love Strand features a charm designed with Swarovski crystal and a signature SV tag. Style Tip: Each necklace can also be worn 3 different ways. Our Love Rosary Necklace is also still available online! Make your mom truly feel special by purchasing this unique necklace! It is made from black wire wrapped glass beads and features a brass pendant – and there is only 1 available for sale! Take a closer look here. Or, your mom can wrap your love around her wrist with a bracelet from our Love Links Collection! We have a variety of styles and colors online. Purchase one or more so that she can stack on the style! Say “Thank You, Mom” with Saint Vintage! Our accessories are handmade and everlasting so your mom can have this special keepsake forever. 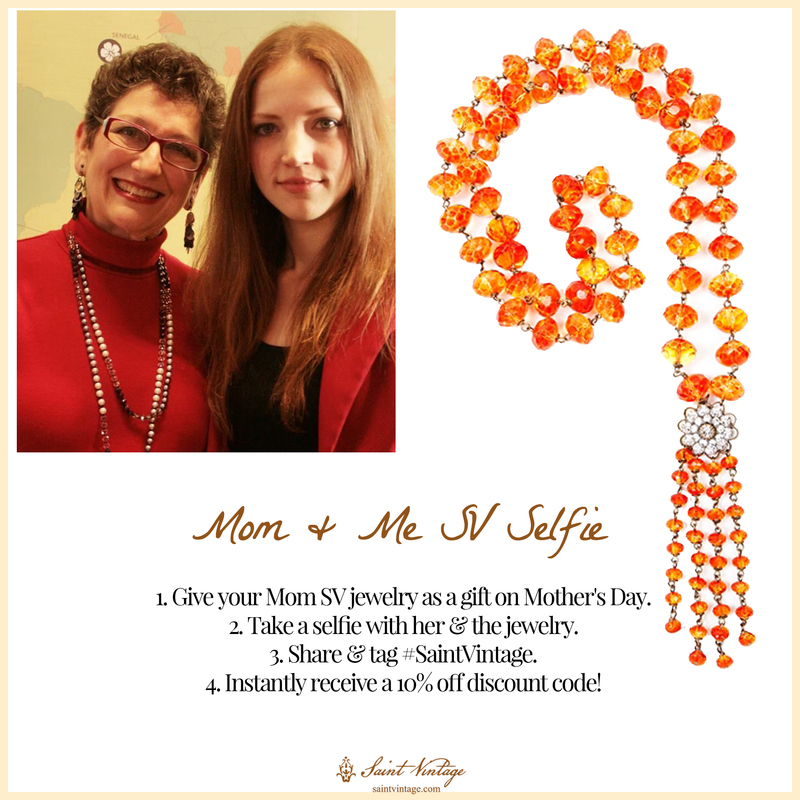 Special Discount Offer: On Mother’s day, after you gift your mom our jewelry of hope, take a “Mom & Me SV Selfie” to get an extra 10% off on your next purchase! We want to see a picture of you with your mom and the SV accessory you gave her. Tag us: #SaintVintage. Dillard’s Stores welcome Saint Vintage! Next week we welcome the month of May! What does May have in store – or should we say “stores” – for Saint Vintage? Many of the pieces from this collection would make the perfect Mother’s Day gift, another excitement from the month of May. And much like the stunning bracelet below, this collection represents vintage glam, with each piece handmade in Atlanta. Don’t live near the locations of either Dillard’s store? No problem! Some pieces from our Couture Collection are already available on our website! Whether you are buying a piece of Saint Vintage jewelry for yourself, your Mom, or someone else, make sure they know that they are wearing “jewelry with a cause” with a portion of profits benefiting cancer research. Shop for more styles at SaintVintage.com and stay connected with us on Facebook, Twitter and Pinterest. 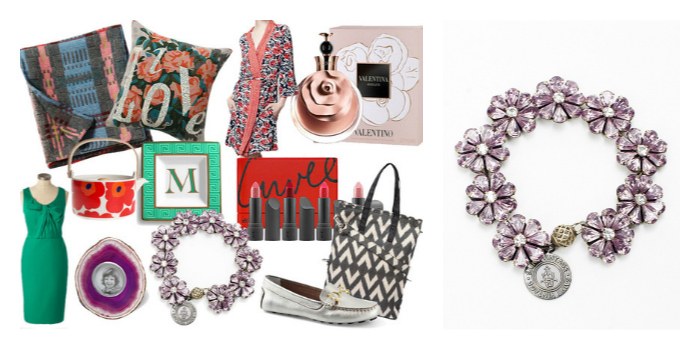 Timeless Gifts for Mother’s Day! Exactly one month from today, we celebrate one of the warmest and most loving holidays out there: Mother’s Day! Sunday, May 11th, 2014 we recognize, honor, appreciate, and most importantly, celebrate Moms! The great thing about Mother’s Day is that a “Mom” doesn’t have to be someone biologically related to you. In today’s day and age, your mother can be anyone who treats you, and most importantly loves you, as if you were their own child. Who can receive the same praise as a traditional Mom on Mother’s Day? A friend, a relative, an idol, a mentor, a sister, anyone whom you share a some-what maternal bond with, can be appreciated on this wonderful holiday. Saint Vintage is a supporter of all types of Moms. This Mother’s Day, whomever your Mother is (traditional or not) give her a timeless gift. Our jewelry is handmade, helps fund cancer research, and most importantly, each piece is made to show that special someone just how much they mean to you. Shop for her today at Saintvintage.com. Share your Mother’s Day stories with us by “liking” our Facebook, and following us on Twitter and Pinterest. Extra! Extra! Read about what others are saying about Saint Vintage this month! Last, but certainly not least, E! News co-anchor, Giuliana Rancic has just mentioned her obsession of the day, Saint Vintage; showing off her love for floral love drop earrings and a floral burst bracelet! For other great picks of Saint Vintage pieces, check out our Pinterest boards! And don’t forget to shop the collections today and steal the days and nights away in style! After all, who doesn’t love to adorn themselves in accessories?